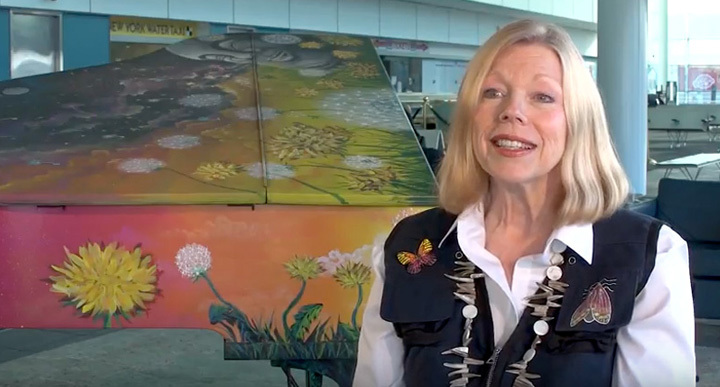 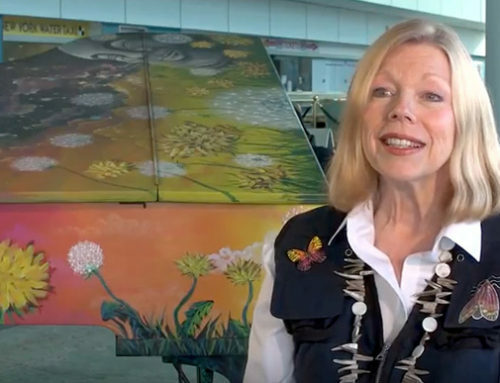 Global Garden President, Barbara George, gifted this special piano to Arthur Imperatore and the NY Waterway Ferry Service to repay an earlier Kindness when Mr. Imperatore offered their Weehawken Terminal as a venue to host a Global Garden concert and auction to help raise money to rebuild New Orleans, post Katrina. 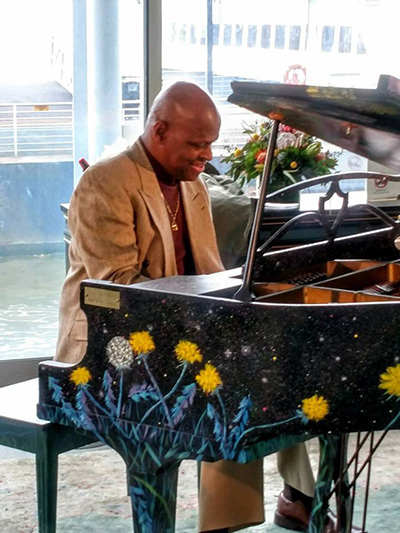 Dennis “Doc” Williams, best know for his work with the O’Jays, performs the first piano concert on this gifted baby grand piano in its new pertinent home at the NY Waterway Ferry Terminal at 39th Street, Manhattan. 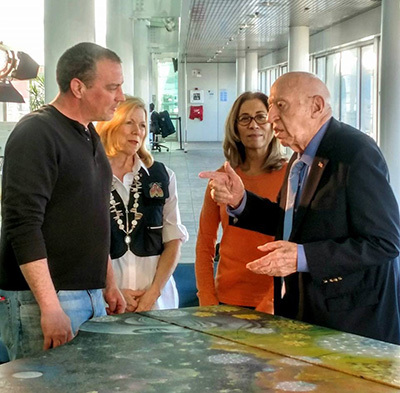 From left to right: Chris VanVooren, Barbara George, Yee Mei-Ling Imperatore and Arthur Imperatore. 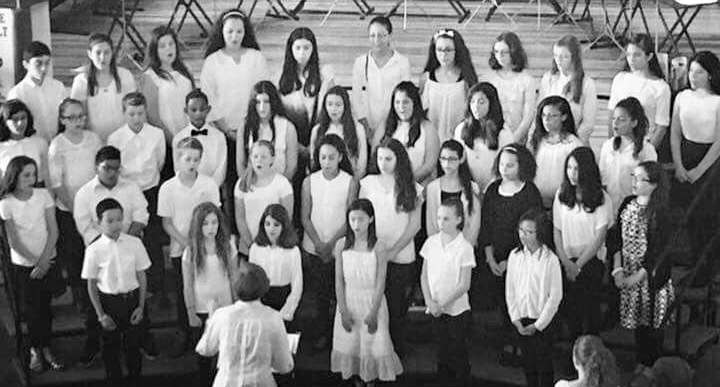 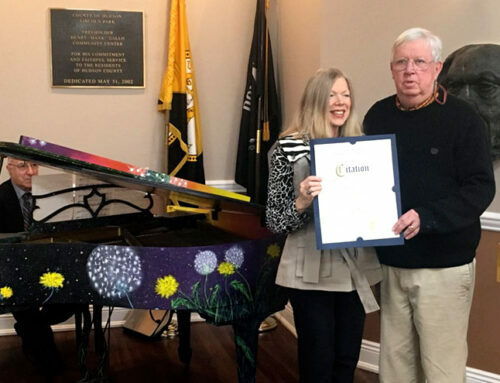 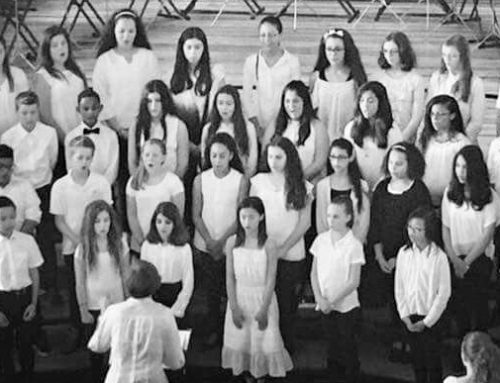 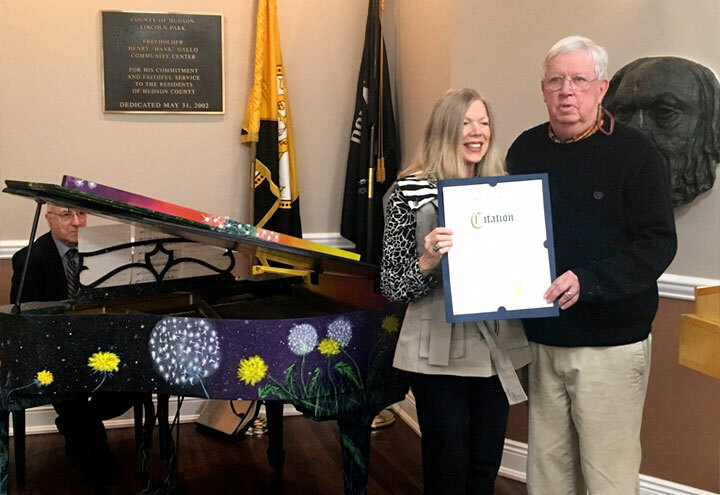 After a season of being enjoyed by residents and visitors, from far and wide, “Music of The Universe”, as titled by its artist and painter, Chris VanVooren, Vice chairman of the Goshen Art League and Vice Chairman of the Greenwood Lake Chamber of Commerce, the pianos are auctioned to help raise money for the next year’s program.